every night this week at midnight, eastern time …. June 13, 2098: California has fallen into countless city-states. Right in the middle lies Cedar Sinai City, the hospital world. 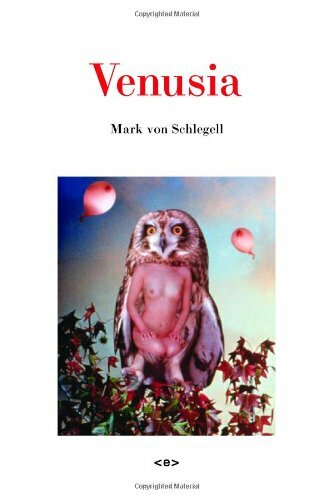 Science-fiction author Mark von Schlegell creates in his narrative Ozymandiarsch: Drones & Clones I a highly comic vision of future confusion, recorded by an entity without ego. Everywhere clones and reproductions of famous writers from the romantic world are bustling – and window fronts are only holograms on the 77th floor. “Nothing starts, ends or writhes.” Wondering: which clone will not survive this comedy? Pure Fiction at Miss Read, Berlin. Haus der Kulturen der Welt. 4-6 May. Reading/Performance at ASHLEY BERLIN. 5 MAY 8PM.